A few months ago, we posted about a state bill proposed to raise the minimum insurance limits for auto insurance. As of today, May 1st, 2018, the current version of that bill has passed. 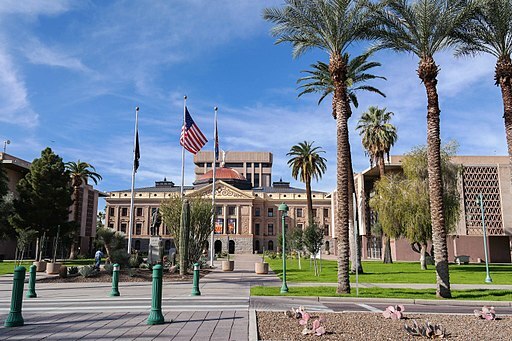 Arizona House Bill 2254 was passed with 45 yes votes, 12 no votes, and 3 abstentions. It was a bipartisan effort, with 24 democrats and 23 republicans voting together in the house to pass the bill. The bill also passed the Senate and will become law July 1st, 2019 assuming Governor Ducey does not veto it. What does this mean? After the law is passed, when people buy new policies or renew their old ones, the new policy will have to have at least the new increased minimum limits. You can look at this as “how low could I possibly go” when buying insurance coverage. They’re raising the bare minimum to a level that will do a better job of providing coverage if there is an accident. Currently, if a person wants to spend the bare minimum on car insurance, they can buy a 15/30/10 liability policy. Next year the bare minimum will be a 25/50/25 liability policy. We shared a detailed breakdown in our earlier post. The bottom line is that rates may go up for some but risk will go down for many. If someone hits you and is at fault, their insurance will cover at least up to $50,000 of total medical bills with $25,000 of coverage per person. Additionally, their insurance will cover at least $25,000 of property damage relating to the accident. This will be especially helpful if multiple vehicles were hit, or if one of the vehicles is expensive. Arizona diminished value claims are one area that will be particularly assisted by this increase in rates. We’ve explained in detail here how an Arizona diminished value claim helps people recover lost resale or trade-in value lost in an accident. Essentially, if someone hits your vehicle, the damages and repairs listed by carfax could cause the resale value to drop. Hypothetically say the drop is $10,000. That is $10,000 their insurance should owe you (keep in mind, they’re not going to want to give it). That $10,000 comes out of the property damage pot. So currently, if a minimum policy already did $10,000 in repairs for your vehicle, they’re out of money and you’d have to sue the driver to get your additional $10,000. Under the new limits, the pot for property damage contains $25,000. This has to be shared among all the vehicles (besides the driver’s) involved in the accident, in addition to any other damaged property such as street lights. Still, if you have an expensive vehicle that is more subject to large drops in resale value after an accident, you will be better protected than before. This reform does not protect us in all cases. What if the person who hits you is driving without insurance? Or they stole the vehicle? Or it’s a hit and run and they are never caught? A minimum liability policy will not pay to repair your vehicle or cover your medical bills. In most of these cases you’d need a comprehensive/collision policy with uninsured/underinsured coverage as well. Medical payments coverage could also assist you. Finding the right insurance coverage can be difficult. But it is incredibly frustrating when you’ve been in an accident and you find out your policy doesn’t protect you. As a courtesy to former clients, Kel and Chandra are happy to speak to you about what kind of protection you have or may need under your current policy. If you’ll need to change your policy when this law takes effect, you can call us to schedule a time for Kel or Chandra to go over what coverages might be helpful for your situation. And of course, if you’re in an accident give us a call and an attorney can sit down with you to explain your options.